The nature will love your OCTAVIA COMBI G-TEC. So will your wallet. The more you drive, the greener you are. While looking the same as other OCTAVIA cars, this very one is equipped with automatic switching between the two fuel systems. With CNG, it promises low fuel consumption (from 5.6 m3/100km), as well as low CO2 emissions (from 99 g/km) and... yes, low costs for your driving. ​Did you know that the consumption of CNG vehicles in m3/100 km is nearly the same as the consumption in litres of petrol? The OCTAVIA G-TEC consumes mere 5.6 m3CNG/100 km and produces 99 g/km of CO2 emissions (approx. 25 % less than a petrol engine). 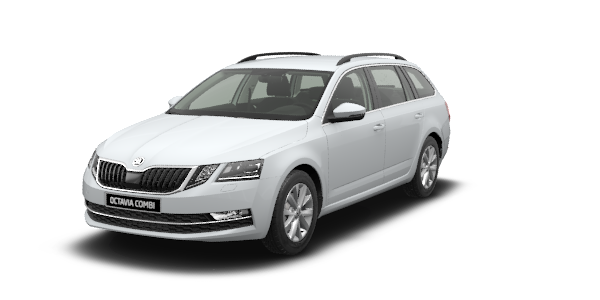 The OCTAVIA COMBI G-TEC is powered by advanced bi-fuel turbocharged 4-cylinder engine. The 81kW 1.4 TSI engine runs primarily on CNG, but its operation and range is enhanced by a 50-litre petrol fuel tank. Refuelling is smooth and clean with this OCTAVIA COMBI: both fuel fillers are under the very same flap. ​When you buy yourself the OCTAVIA COMBI, you want it to be your best partner for both day-to-day commutes and long journeys. The OCTAVIA COMBI G-TEC is no exception. The car is fitted with a total of three fuel tanks: two for 97 litres of CNG and one 50-litre for gasoline. It gives you range of up to 1,330 km without refuelling. A perfect car for environmentally-friendly globetrotters. The OCTAVIA COMBI G-TEC allows both petrol and natural gas (CNG - Compressed-Natural-Gas) to be used. The car is fitted with three fuel tanks – one petrol (50l) and two CNG (97l total) and can travel a distance of 1,330 kilometres (410km gas + 920km petrol reserve). 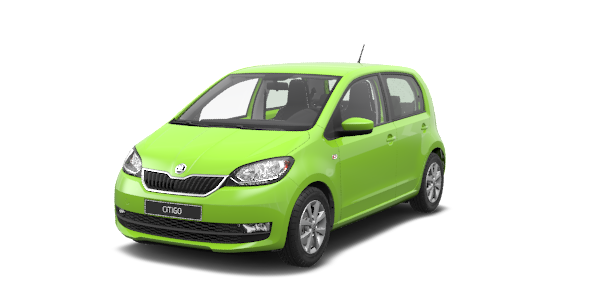 The OCTAVIA COMBI G-TEC consumes only 5.6 m3CNG/100 km and produces 99 g/km of CO2 emissions (25 % less than a petrol engine). ŠKODA OCTAVIA COMBI G-TEC comes with a six-speed manual or a seven-speed DSG automatic gearbox. No difference outside and inside The OCTAVIA COMBI G-TEC interior therefore remains completely unaffected. The only difference from the standard versions is absence of a spare wheel, which has been replaced by a tyre repair kit. The gas tanks are located under the vehicle. The regular spare wheel well has been replaced by a specially moulded floor panel to make space available for the gas tank behind the rear multi-link axle. Thanks to this solution the CNG-powered OCTAVIA COMBI offers 480 litres for luggage. When rear backrests are folded, transporting capacity increases to 1,610 litres. Add to that, the OCTAVIA COMBI G-TEC can be fitted with whole set of safety features to protect you when driving around the city: from up to 9 airbags, to ESC with multi-collision brake and multi-function camera for Lane Assist, Light Assist and Traffic Sign Recognition. Its comprehensive safety package was awarded with 5 stars in Euro NCAP crash tests.